Presenting all the Ben 10 Fans, the latest addition to the Omniverse Series – Ben 10 Grey Matter Leap. It is definitely a recommendation for the Couch potatoes who are very lazy in showing the shooting or Killing Skills. Recommended: Play Ben 10 Power Splash Game online for free now! In Grey Matter Leap, you don’t have to be careful about the attack of the enemies from all the directions neither you have to shoot someone or kill to win the game. Moreover, the game is about to jump from one platform to another keeping in mind that you don’t miss the landing on the platform because if you do, then you will lose the game. The moment you fall in the water, the entire leap is lost and you have to start again from the beginning. It is very important that you make a big score to stand against the High Scorers. Pro Tip: Don’t skip the platform coming on your way to the next platform. Jump in One go and reach to the next & Repeat. Get Ready and cover an interesting journey in Jumping Style! 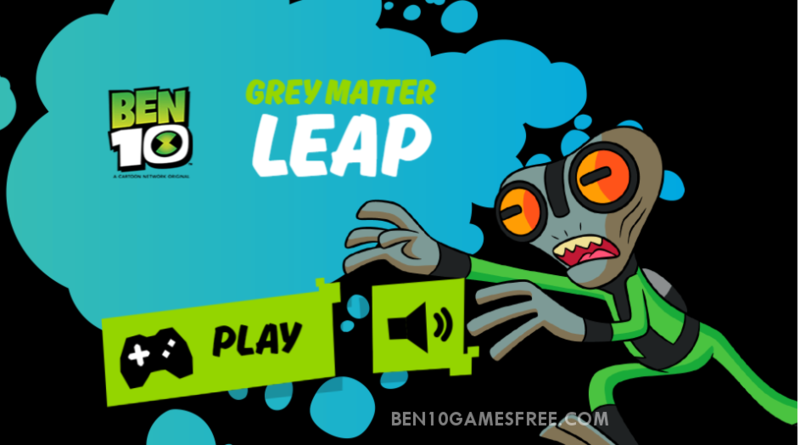 Don’t Forget to give your rating for Ben 10 Grey Matter Leap game and share your tips and tricks to win this game in the comments section below.